LANCIA - MUSA (350) - 1.3 D Multijet Engine Code: 188 A9.000, 10.04 - 51 70 1248 MPV. LANCIA - MUSA (350) - 1.3 D Multijet Engine Code: 199 A3.000, 09.06 - 66 90 1248 MPV. LANCIA - MUSA (350) - 1.3 D Multijet Engine Code: 199 B1.000, 03.09 - 70 95 1248 MPV. Part Number: KP15646XS (Ref.Only). Model: Musa. LANCIA Musa 1.6 JTD Multijet 1598 07/2008-12/2012 16/4 Diesel 350A2000. LANCIA Musa 1.6 JTD Multijet 1598 07/2008-12/2012 16/4 Diesel 350A3000. Make: LANCIA. Part Number: K015646XS (Ref.Only). Model: Musa. LANCIA Musa 1.6 JTD Multijet 1598 07/2008-12/2012 16/4 Diesel 350A2000. LANCIA Musa 1.6 JTD Multijet 1598 07/2008-12/2012 16/4 Diesel 350A3000. Make: LANCIA. JK Part Number: J10646Quality Morris product. Ideal for all VW models. This is a technically sophisticated, DOT 4 spec brake fluid. 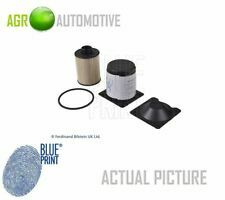 Blended additives help prevent fluid oxidation, rust and swelling of piston seals. 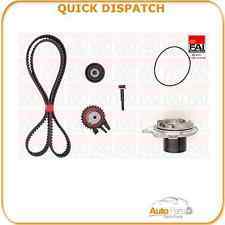 TCK6 FAI TIMING CHAIN KIT fit ALFA MITO (955_) 1.3 MultiJet (199 B4.000) 01/11-. FAI Automotive plc has evolved out of motor sport, with its attendant high standards of technical, logistical and administrative efficiency. # GENUINE SKF - TIMING CHAIN KIT. 1x Crank Sprocket. Product Type: Timing Chain Kit. Timing Chain Kit, containing Are you worrying how to proceed warranty if you are from different country?. For details seeWarranty Policy. ManufacturerFebi Bilstein. Lambda Sensors. Spark Plug Tools. Glow Plugs. Spark Plugs. Denso Glow Plugs. DIY Car Service Parts. NGK Glow Plugs. Original Part Number: 51744337. FIAT IDEA PUNTO GRANDE PUNTO. PUNTO (188_): 1.3 JTD 16V. GRANDE PUNTO (199_): 1.3 D Multijet. IDEA (350_): 1.3 D Multijet. ENGINE MOUNTING. 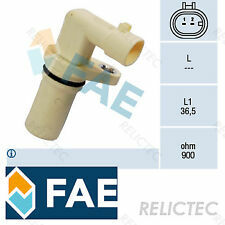 Our Part Number: CM 85923. THIS PART SUITABLE FOR . Note 8: Veh Equip If the water pump fails, coolant will leak and contaminate the belt. Here is listed any variations of Gates Products for your vehicle. This is a demanding task, requiring correct tensioning to ensure that belt performance is maintained at the optimum level. BRAND NEW TOP QUALITY CRANKSHAFT PULLEY. Genuine Gates Belts & Parts! Great-Quality Service! Manufacture Part Number: T39017. OPEL / VAUXHALL - SAAB - SUZUKI. VAUXHALL: 55190813. VAUXHALL: 6340557. Sub Type: Pulley & Tensioner: Drive Belt Tensioner. OPEL: 1204187. OPEL: 55190813. OPEL: 6340557. Bosch Knock Sensors are highly accurate and sensitive to detect engine knock, ensuring efficient performance and long life of your vehicle. Motorway use is the easiest condition for oil, the speeds are fairly consistent and rarely push the engine hard, there is plenty of air flow to help cool the engine and the oil has a chance to get up to temperature and flow properly. It works by connecting the Crankshaft and Camshaft together so they work in sync with one another. Extra Info: For Camshaft. Chain Type: Simplex / Closed chain. Of Chain Links: 120. We apologise in advance for any inconvenience caused. 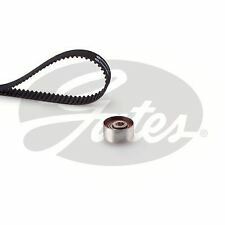 VALVE STEM SEAL fits LANCIA MUSA MPV - 04>12 - FE28391. VAUXHALL 93179433. LANCIA 46798352. FIAT 46798352. Part number ERA S.p.A Italia 550268. Producer Comparable Number. Install the original. Install Gates. GATES's range of products include: Timing Belts and Timing Belt Kits, Fan Belts, Poly Rib Belts, Tensioner and Dampers. 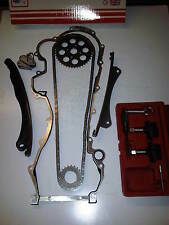 GATES TIMING BELT WITH WATER PUMP AND TENSIONER KIT. Full Gasket Sets. Belt Tensioner Wheels & Bkts. Suspension Ball Joints. Rear Lights. Material: Copper. Front Exhausts Cats. Estimates can be provided beforehand but prices may differ upon ordering. Shape: A-shape. PART NUMBER 6PK1183. ORIGINAL GATES BELT. Gates is the OEM supplier to virtually all car manufactures worldwide. When fitting, follow vehicle manufactures installation instructions. SINGLE SIDED. Don`t know if it will fit?. Part Number : ADK82327. Wash & Wipe. 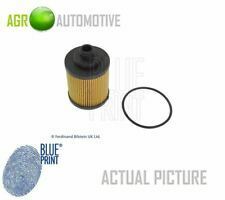 Be aware that your Model of Vehicle may have a choice of 2 / 3 different Fuel Filter Options. Such variations can apply due to upgrade designs on later chassis numbers, or the manufacturers using different OEM suppliers during production process. LANCIA 55228986. FIAT 55228986. Top quality part with 12 months warranty.